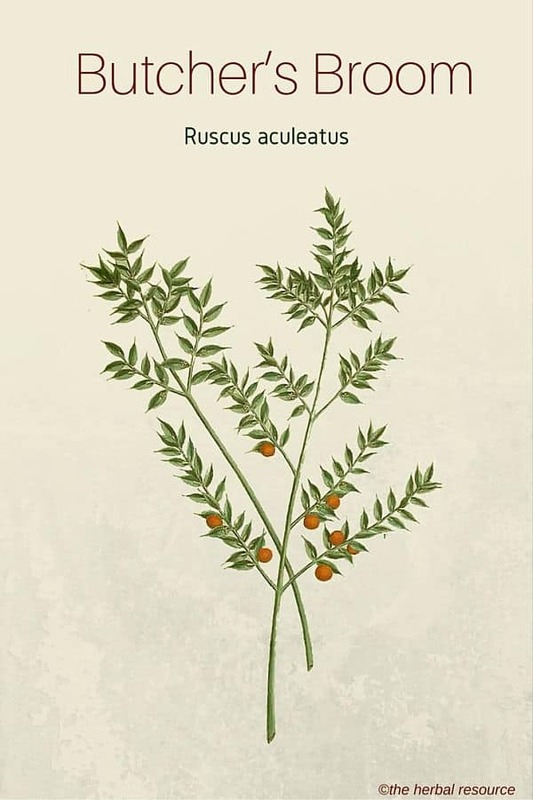 Botanical Name: Ruscus aculeatus L.
The word “rusci-” means butcher’s-broom-like, and the word “aculeatus” means prickly or thorny. The plant belongs to the plant family Ruscaceae (formerly classified under the family Liliaceae). Other Common Names: Box holly, jew’s myrtle, kneeholy, knee holly, kneeholm, pettigree, sweet broom. Habitat: It is believed that the plant is originally from Hungary but now it is widely harvested in Europe and the Mediterranean. 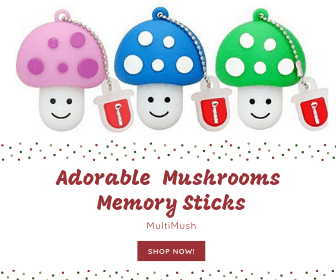 The plant requires medium humidity, moist soil, and 4–18 °C (40–65 °F) for their optimal growth. Plant Description: Butcher’s broom is a shrub with rigid flattened stems that resemble leaves, which are called cladophylls. The plant grows up to 30 cm tall. The plant produces tiny greenish white flowers during late winter and spring. The flowers develop on the cladophylls, which turn into red berries. This plant is quite similar to the edible asparagus plant. Plant Parts Used: The rhizome and young stem are used in the medical preparation but sometimes the whole plant is used in the preparation of some particular herbal medicines. Young shoots can be eaten like edible asparagus. Butcher’s broom is generally used as an anti-inflammatory, aromatic, diaphoretic, diuretic, mildly laxative, and vasoconstrictive agent. It has been used to alleviate constipation, improve blood circulation, and to ameliorate water retention discomfort. This medicinal herb is believed to tighten the veins of the circulatory system and fortify the walls of capillary vessels. The plant contains many steroidal saponins. These steroidal saponins are believed to be responsible for the medicinal effects of this herb. The active principle is ruscin (monodesmosidic spirostanoside type), ruscoside (bisdesmosidic furostanol glycoside type) with accompanying aglycones (neoruscogenin and ruscogenin). The high flavonoid contents such as rutin that ameliorate the flow of blood to the brain, hands, and legs. The utilization of this medicinal herb as a tonic was recorded in the manuscripts of ancient Greeks. However, only after the 1950s, the medical properties of this herb have been spread to the West. In the 1970s, Europe affirmed the extending popularity of the herbal remedies in modern medicine. Now, the modern herbal medical practitioners commonly use the leaves of the plant as an anti-inflammatory agent and circulatory tonic for a variety of vascular disorders. A mildly bitter tea prepared using the herb is being consumed, which is believed to facilitate blood circulation to the limbs and it acts to reduce the phenomenon of blood clotting and post-surgical thrombosis. Because of its mild diuretic action, it acts as an herbal remedy for reducing swelling of the legs, and it seems to be useful in the treatment of phlebitis and natural treatment for varicose veins. Some herbalists recommend the use of butcher´s broom for the treatment and prevention of a variety of ailments such as atherosclerosis and chronic venous insufficiency. 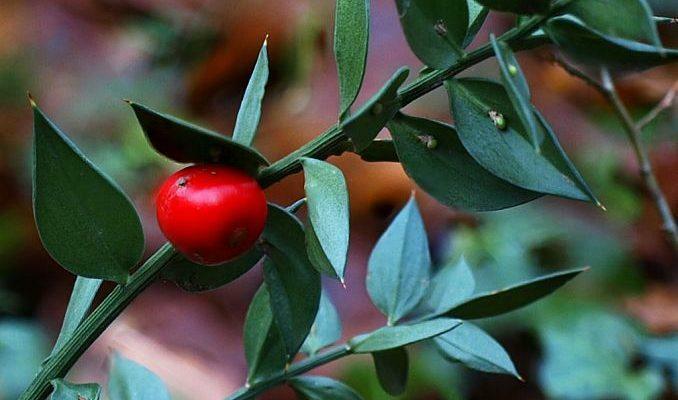 When butcher’s broom is applied as a topical ointment, it seems to be effective in easing off the pains and swelling associated with arthritis and rheumatism. The suppository prepared from butcher’s broom is used as an active component in several drug formulations and topical medications for various venous diseases and venous insufficiency. The common dose recommended in the clinical trials for the treatment of chronic venous insufficiency is 7–11 mg of ruscogenin. The flavonoid hesperidin methyl chalcone that is derived from butcher’s broom is used as a marker for standardization in the ruscus extract “Cyclo-3 Fort®”. The extract dosage of 16 mg a day has been administered for chronic phlebopathy. If it is applied as a topical cream formulation, 64–96 mg a day is recommended. Occasionally, in rare cases, the consumption of butcher’s broom may cause mild nausea and queasiness. The individuals with hypertension must consult their physician before they start consuming it. Why is there a potential contraindication with use of butcher’s broom in those with hypertension? Why is there caution? In human studies, butcher’s broom has shown to have vein-narrowing effect on the blood vessels and may therefore elevate blood pressure. 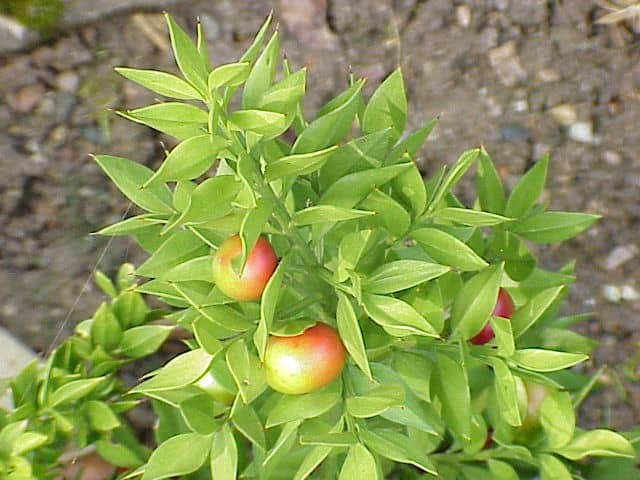 It has also been theorized that the herb may interact with medications used for high blood pressure (Alpha-adrenergic antagonists) such as prazosin and terazosin and the substance tyramine found in butcher’s broom may cause a severe increase in blood pressure, although no clinical trials are available to confirm this. So if you are suffering from hypertension and are thinking about using butcher’s broom for therapeutic reasons you should definitely consult your doctor prior to use.